Overview... an actor in someone else's play. 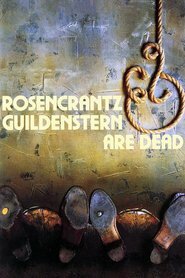 Rosencrantz's long-time friend Guildenstern (or “Guil”) is the leader of the two, and “Ros” is just on for the ride. It's not been a very exciting ride so far, with the duo just bouncing between medieval Denmark and surreally blank landscapes. But happenings in King Claudius's court might steer their course in a decidedly less monotonous direction. Personality... kinder, if less intelligent and authoritative than his best friend. Ros isn't dumb, but he certainly isn't as cerebral as the loquacious Guil, either. And most of the time, he ends up taking an backseat to Guil. Still, Rosencrantz doesn't miss the limelight, and his optimism and kindness are much needed as fate begins to steer the duo towards deadly waters. Rosencrantz's popularity ranking on CharacTour is #3828 out of 5,000+ characters. See our top-ranked characters and read their profiles.